Expats moving to the enchanting “city of gold’, Johannesburg, are set to experience the lowest cost of living in the capital of the wealthiest province in South Africa, Gauteng. South Africa's economic powerhouse, Johannesburg (Jozi or Jo'burg to locals), remains the commercial and economic capital of the African continent. As the premier business destination, Johannesburg is home to 74% of South African companies and Africa's largest stock exchange, JSE Limited. Historically, gold mining is Johannesburg's bread and butter. Today, the city is a premier financial and business service centre. Its manufacturing industry produces a wide variety of goods like steel and textiles. Johannesburg accounts for 16% of South Africa's GDP and 40% of Gauteng's economic activity. The city may be Africa's economic tiger, with affluent neighbourhoods located in the northern suburbs and a fast developing commercial and residential district of Sandton, dubbed "Africa's richest square mile." 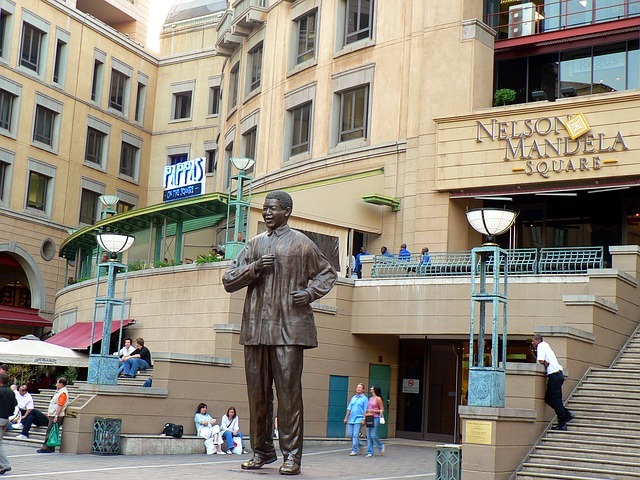 Around the Sandton metropolis is the popular suburbs for expats. Hyde Park is one of the most sought after addresses in Johannesburg while Hurlingham is littered with exclusive modern houses. Expats looking for an upper-class residential suburb can check the Bryanston and Rivonia areas. Other wealthy suburbs are Saxonwold and Houghton, the home of the admired leader, Nelson Mandela. Another commercial and residential suburb of Johannesburg is Rosebank. Although Sandton City is one of the largest shopping centres, Rosebank acts as the centre of high-end retail and shopping for the residents of the northern suburbs. It is said that the majority of the small companies who cannot afford to be located in Sandton take refuge in Rosebank. There are 11 languages spoken, but English is the predominant language. For business, other languages are Afrikaans, Zulu, Setswana and Sesotho. Expats should not worry about the road signs as they are mainly in English. Expats will certainly enjoy the climate in Johannesburg. Occasionally, there are heavy afternoon thunderstorms with downpours of rain in summer (October to April). In winter, snow is very rare, but the temperature drops below the freezing point. Johannesburg is South Africa’s largest and most economically successful city. This thriving capital has been a favoured expats destination because of employment opportunities in its leading sectors such as mining, finance and telecommunications. You can also find a promising career path in IT, engineering and teaching where skilled workers are currently in demand. But aside from landing a dream job in Jo'burg, you can also look forward to living in a city rich in history and multi-cultural influences. So if you are ready to find what possibilities are in store for you in the city that locals call as Egoli or the “place of gold”, here are some tips that’ll help you out. English is a widely used language in Johannesburg so you do not have to worry about language barrier once you arrive. One of your top priorities when moving abroad is to find a place to live so it's best to start looking for one a few weeks before you relocate by browsing through websites that post real estate advertisements in Jo’berg. It will give you some idea about the properties and how much to budget for your housing needs. When you get to the city, the fastest way for you to secure a home is to hire a local broker. Realtors are very familiar with the neighbourhoods and have a broad range of options in the housing market. Utilities are not usually covered in the rental pay so you have to prepare around €65 monthly for your essential services like water, electricity, gas and garbage collection. You can apply for an internet connection with an unlimited data which will cost you roughly €50 per month and mobile phone service where local prepaid calls are charged €0.10 per minute. Johannesburg has plenty of properties in the housing market where you can choose from high-rise apartments to beautiful detached houses complete with a patio and swimming pool. Most single or young couples prefer who are on short-term assignments prefer to live in the city centre or in Sandton where they are conveniently near the business hub and nightlife. The price of a one bedroom apartment in these areas starts at €400 per month and €850 for a three bedroom unit. If you are relocating along with your family or staying for a longer period, you can consider the town of Houghton which is known for having large outdoor spaces and green environment. Here, you can purchase a spacious three bedroom house with a pool for around €750,000, which is considered to be affordable compared to property prices in other cities. Despite massive size, you will be surprised to know that there are only several international schools in Johannesburg that’s why most expat kids are studying in local private institutions. However, if you prefer your child to continue with the curriculum from your home country, you can consider enrolling your child in The American International School of Johannesburg which also follows the International Baccalaureate Program (IB) in their curriculum. Local schools are the best choices for expats who are planning to stay in Jo’burg for an extended period since this will help their kids to be more integrated to the local languages and culture. One of the most prominent local schools in the city is the University of Johannesburg which was founded in 1967. You will find houses and flats that are ready for occupancy, but there are also some that come unfurnished. If you are planning on bringing furniture, appliances and your belongings, there are international shipping and removal companies that provide door to door service to Johannesburg. They will pick up the shipment from your address and oversee the whole moving process until it gets delivered to your new home. It takes about 21 days, depending on your country of origin, for the containers to arrive in the Port of Durban where local customers will conduct an inspection of the cargos. To learn about the city’s import regulations, click here. The quarantine period for animals entering Johannesburg usually depends on its originating country, but the minimum required time span is 14 days. If you want to bring your pet to Jo'burg, you need to provide its Import Permit, Health Certificate and Rabies Vaccination Certificate, which is issued by a licensed veterinarian at least a month before its arrival. Aside from being busy working your way up the corporate ladder, you will also not run out of activities to do during your free time. Johannesburg and its locals are famous for having many outdoor activities, recreational spaces and sightseeing spots that you and your family will enjoy. Johannesburg is the capital of Gauteng Province that has total inhabitants of 4.4 million people. Those who have decided to join it’s culturally and ethnically diverse population are about to experience an extraordinary life in one of the greenest cities in South Africa. Johannesburg is known by many other names – eGoli, Jozi, Jo’burg, Joni and Joeys. One of the reasons why expats would love about this city is the high salary which eases the everyday cost of living. Aside from being the capital of the wealthiest cities in South Africa, Johannesburg is also known for being the home of the largest urban forest on earth with about 10 million trees. This city is also fondly called by the locals as ‘Egoli’ which means ‘place of gold’ referring to the gold found underneath the ground and to the huge number of millionaires that it houses. Even though Johannesburg is better known for expats as a place for work rather than leisure, there are still some places in which expat families may have a good time. 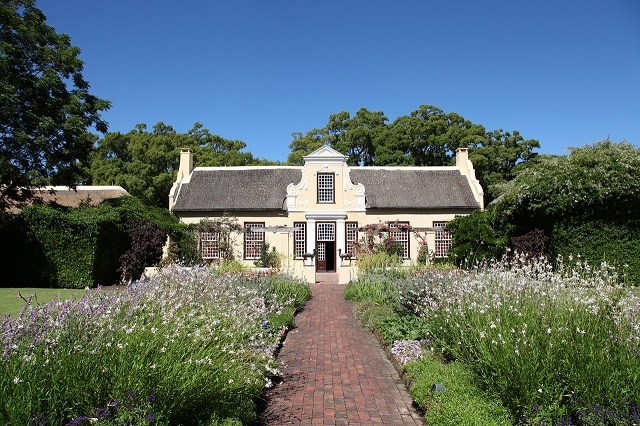 Kids will be far from bored once they visit some of the city's parks and zoos such as the Acrobranch, Johannesburg Botanical Gardens, Zoo Lake, Cradle of Humankind and Emmarentia Dam. Another attraction that every expat with kids should visit is the Gold Reef City, a massive amusement park that was built on an old gold mine. Adults will also enjoy this place since it has a theatre and a hotel where they can play casino. Foreigners should be mindful that the cars in South Africa drive on the left side of the road. It may be quite of an adjustment for them since the standard one is on the right side. Since it would be necessary to own your car in Johannesburg, expats are advised to register a car but must be aware of bringing extra patience as lines could be very long and processes are bureaucratic. For safety purposes, car owners are advised to secure their vehicles and install anti-theft alarms on it as there are instances of hi-jacking and break-ins around the city. Any expat who is over 18 years of age are allowed to open a bank account in Johannesburg and must present at least one valid ID and proof residence. There are four major banks in the country which includes ABSA Bank, Standard Bank, Nedbank and First National Bank. The process of applying for a credit card can be easy in South Africa. However, most of the banks require that the expats have a South African credit history. As an alternative, foreigners may resort to international banks which have a presence in the city. Some of the international banks with branches in Joburg are Lloyds Bank, HSBC and NatWest. 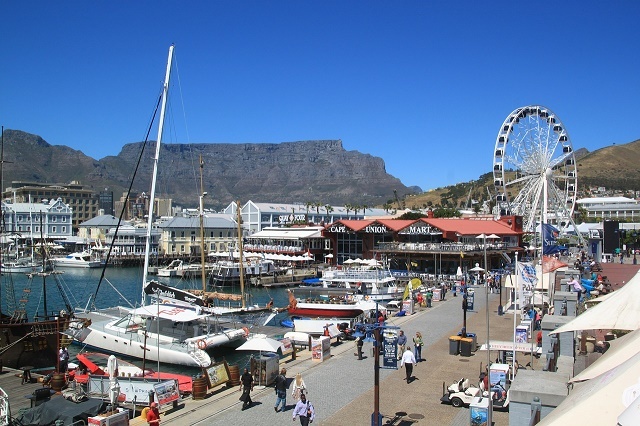 Adjusting to life at the Rainbow Nation would be a struggle for many expats. As a starter, there are 11 official languages such as Sotho, Nguni and English. The city's variety of languages is the primary reason why expats should prepare to experience a language barrier. Johannesburg is also known for its undeniable distinction between the wealthy and the poor. Rich locals live in well-guarded and affluent residential areas while those who struggle in life are often found in the slums. Though there is no current high-alert when it comes to crime and safety, expats should still be extra cautious particularly while walking in the streets since newcomers are magnet to petty crimes such as pick-pocketing.